ONCHAN, Isle of Man – April 12, 2018 – Poker players from around the world came together on the International Day of Sport for Development and Peace on April 6 for PokerStars first ever online multi-table Play Money charity tournament. PokerStars made a $10 donation on behalf of the first 5,000 players who signed up to play the 5 billion Play Money chip guaranteed tournament to raise $50,000, enough to educate more than 1,660 disadvantaged children for a year. “We would like to thank everyone who came together to participate and show their support on the day,” said Sue Hammett, Department Head of Corporate Giving for The Stars Group. “We’re thrilled that so many people from more than 100 countries around the world came together to raise money for our global charity partner, Right To Play.” The event exceeded its original 5 billion Play Money chip guaranteed prize-pool by over 2 billion, paying out more than 7.3 billion Play Money chips to 8,372 entries overall. The first place prize went to US player “Alange”, who converted his 2 million play chip investment (1 million buy-in and 1 million re-entry) into 939,250,000 chips, almost 500 times more than the buy-in. Players were joined at the felt by seven PokerStars Ambassadors including Fatima Moreira de Melo and Chris Moneymaker. All had bounties on their heads, with MoneyMaker lasting the longest of the seven. Right To Play reaches nearly two million children every week who have been affected by conflict, disease and poverty across Africa, Asia and the Middle East. Using sport and games they make education accessible and fun, teaching children critical life skills, how to resolve conflicts without violence and how to avoid disease. PokerStars and Right To Play first partnered in 2014 and have raised more than £1.5 million thanks to donations from The Stars Group’s corporate giving programme Helping Hands, as well as the generosity of employees and players. 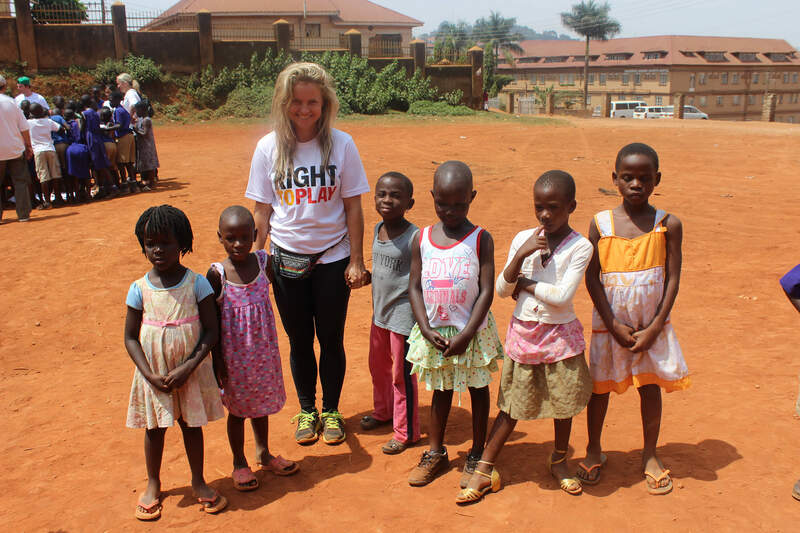 A video of Fatima Moreira de Melo talking about her experience visiting parts of Africa as a Right To Play Ambassador is available here. To find out more about the tournament visit the PokerStars Blog or the PokerStars Free Play Facebook Page.